In the health world, the burger often gets tossed around as the poster child for unhealthy food. You’ve heard it before in the stereotypical list of unhealthy foods: Burger and fries, pizza, soda, candy, ice cream, etc. Some of the things on that list are hard to argue with but both burgers and pizza can have healthy versions that are often just as tasty but without the guilt. We covered pizza in another blog (CLICK HERE), but today we’re going to talk about Healthy Burger Recipes! The first component of healthy burger recipes is the bun. In 90/10 we have some rules about bread that make it fairly simple to pick a healthy burger bun. Of course, there are several ways to make your own hamburger buns for your healthy burger recipes. 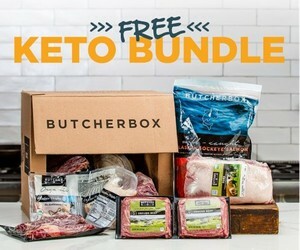 We even have a keto option! In this blog, we’ll just discuss the standard ground beef burger. We could go into various other options like turkey burgers and veggie burgers, but for the sake of these healthy burger recipes, we’ll just discuss the standard. In the recipe listing at the bottom, you’ll see other options. To pick your ground beef for 90/10 Nutrition, you simply need ground burger that is 90% lean or leaner. You typically see 90/10, 93/7, or 96/4 as options. Any of these options would be “green tier” for us. Fattier options would be yellow tier and typically unnecessary. In most cases, a simple burger patty does the job and the toppings take over from there. Sometimes, though, we’ll add a few things to the burger patty as well. You can go traditional or you can go all out. Onions, pickles (watch for sugar), tomatoes, and lettuce are easy options. Mustard works great. Ketchup can be tricky as it usually has sugar in it. We usually use some Organicville ketchup or just go super easy on it. Here are a couple of healthy burger recipes that take the burger to a whole new level. If you’re looking for burgers that aren’t really burgers, we have a few fun options. These options use standard ground beef but mix it up by using wraps, waffles, or even pie crust. Here’s a look at all of our burger recipes. Use the search box below to find one for you. Will be trying some of these with ground chicken and turkey!